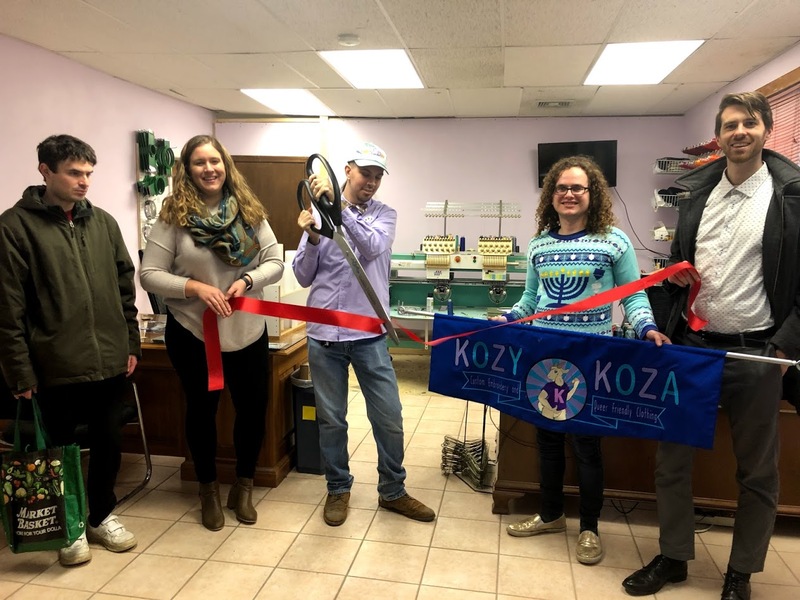 Haverhill, MA – The Greater Haverhill Chamber of Commerce was delighted to be a part of the Ribbon Cutting for Kozy Koza Embriodery. 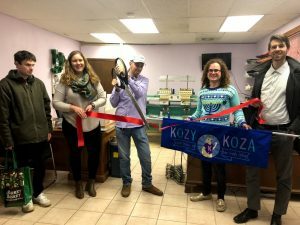 Located at 149 Washington in Haverhill MA, Kozy Koza Embroidery provides commercial scale work to businesses for uniforms as well as to retailers for resale. They also have retail clothing and accessories with a strong focus on providing support to queer communities. Jonas Kolek has been doing embroidery work under their parents business from an early age before bouncing between several small business manager positions. Finally buying their parent’s equipment in late 2017 to start Kozy Koza Embroidery.